Originally constructed in 1960 by NAI James E. Hanson’s namesake, James E. Hanson, 195 North Street is a single-story 53,000-square-foot flex/industrial building featuring an ideal location less than a mile from Route 46, Interstate 80 and Teterboro Airport. Recognizing the deep history of the building along with its unique level of accessibility and adaptability, NAI James E. Hanson completed an extensive renovation of the space last year and moved its headquarters from Hackensack to Teterboro. 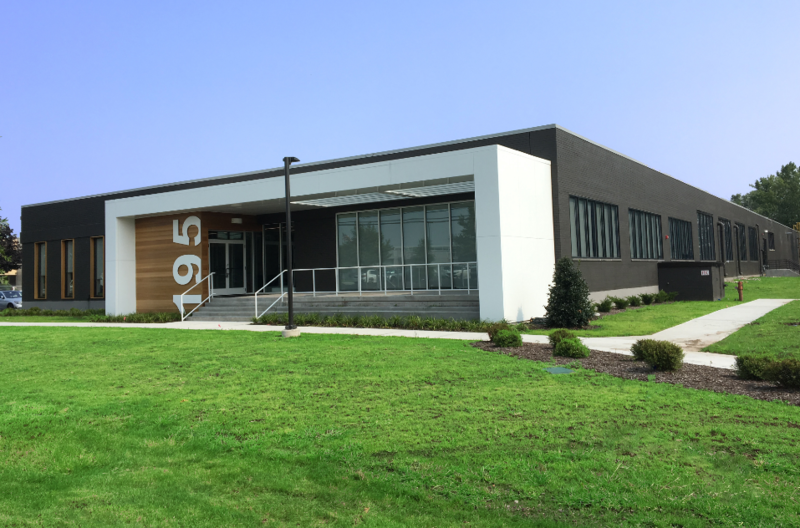 The renovation created a brand-new headquarters for the brokerage firm while bringing a modern, industrial space to the local market. Zenith Freight Lines is a specialized supply chain solutions provider, offering the home furnishings industry the control of an asset-based network to move product with greater efficiency, less damage, and a single source of visibility. With locations across the United States, Zenith Global Logistics was searching for a highly modern industrial space in the New York market that provided easy accessibility to the region’s core transportation arteries. They were able to secure a space at 195 North Street that met their needs bringing the building to full occupancy mere months after the completion of the renovation.